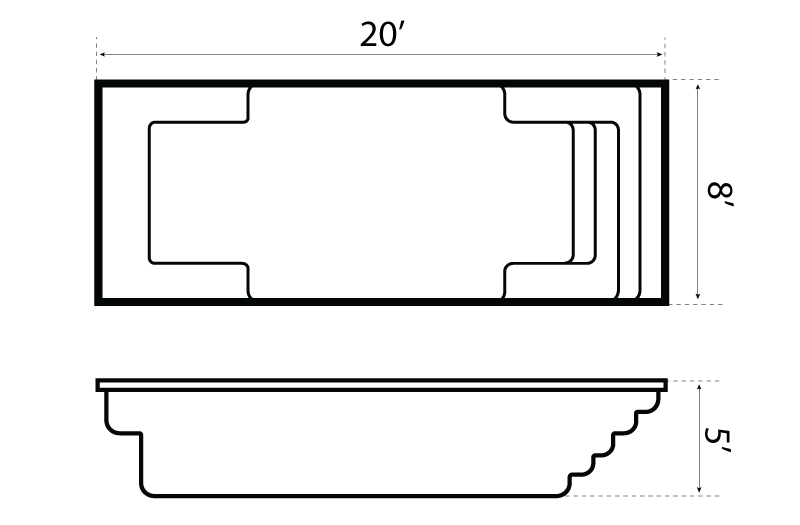 Palladium 20 pool model is one piece fiberglass construction and has a classic rectangular shape. 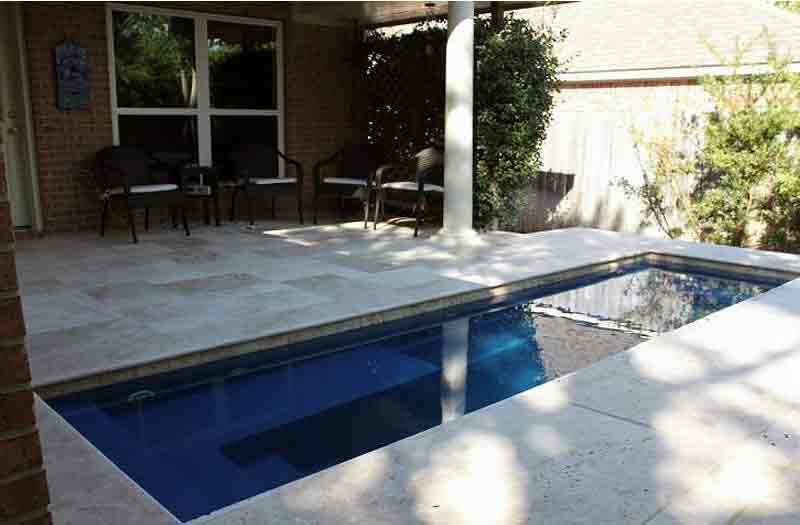 In many areas, these days, the available space for a swimming pool is becoming limited. Smaller building blocks and larger homes are squeezing the space for a pool. 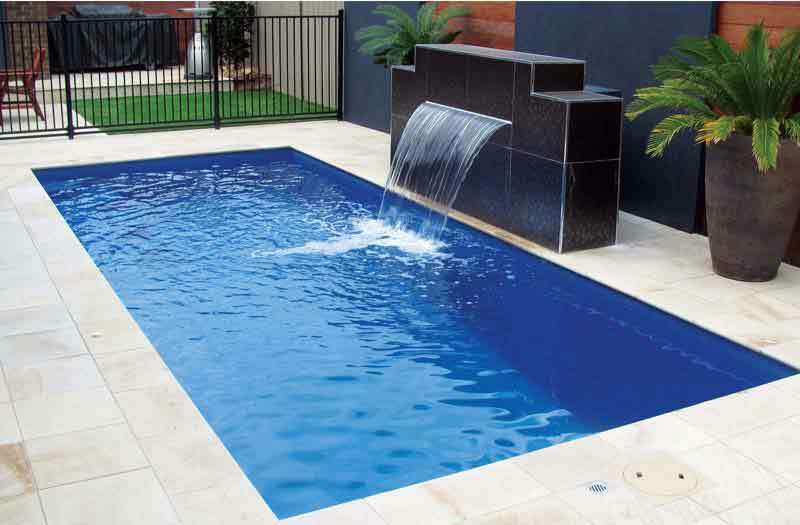 The trend towards smaller and smaller swimming pools have led to the development of the plunge pool. 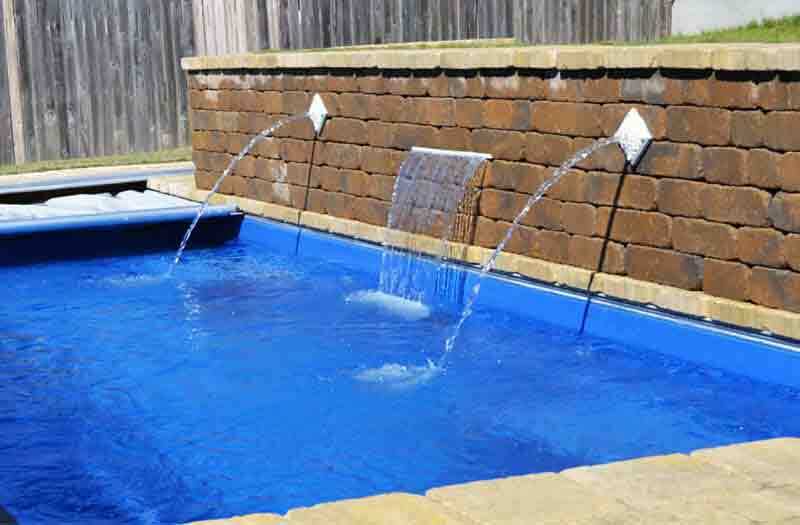 The Palladium Plunge is the ideal pool for the smaller area. It makes a great centerpiece for a courtyard scene. Add a water feature to a Palladium Plunge pool and place it so that it can be readily seen from your home and you not only have a convenient swimming pool but also a stunning visual effect.